Menswear fashion icon Fouzul Hameed recently launched the ‘FH Men’s Style Guide’, a YouTube channel that is aimed at providing valuable fashion tips and advice to men across Sri Lanka and the world. On the channel, Hameed shares his expertise and vast knowledge, which has raised the bar for men’s fashion in the island over the years. Taking over the reigns of his family business in 1983, Fouzul Hameed has over the years become the man behind the Hameedia brand, embodying the world-class quality and finesse of Hameedia products. Having steadily continued to uplift men’s fashion across the nation, the mogul of men’s fashion will now be more accessible than ever via his new YouTube channel. Created to help men hone their sense of style and fashion, the ‘FH Men’s Style Guide’ channel provides a wide range of tips and hacks on purchasing luxury clothing and high-end accessories, as well as achieving the perfect look for any occasion. The very first video which was recently published features Fouzul Hameed discussing how certain accessories such as socks and pocket squares can be used to make a bold statement or enhance an overall look. From offering guidelines on mixing and matching subtle accessories such as socks, ties and pocket squares, to providing tips on picking out the perfect jacket to top off an evening attire, the ‘FH Men’s Style Guide’ is set to become a one-stop online resource for men seeking fashion guidance. Commenting on the launch of his YouTube channel, Fouzul Hameed, Managing Director of Hameedia stated: “I am very pleased to introduce my YouTube channel, ‘FH Men’s Style Guide’, and I hope that this platform will enable me to share my knowledge and expertise of menswear fashion with men across Sri Lanka and beyond its borders. As a fashion designer, manufacturer, bespoke tailor, retailer and mentor, I have always been committed to creating and offering clothing items and accessories that are authentic, affordable, and of a supreme quality. Through this channel, I hope to share a host of tips and hacks on how each accessory or article of clothing can be used to add class and flair to a man’s overall attire and image. The key to nailing the perfect look is to give meticulous attention to every detail, and through this channel, I plan to teach my viewers how to do just that. My ultimate goal has always been to help men from all backgrounds and walks of life to portray themselves as true gentlemen, and I hope that this channel will take me a step closer towards achieving that vision. When you look good and dress well, you feel confident and ready to take on the world, and this can lead you to achieve greatness in your personal and professional lives. 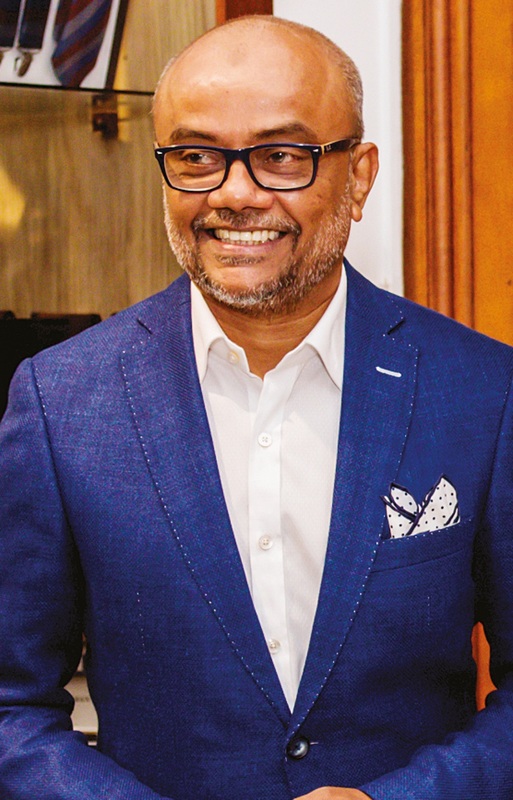 Fouzul Hameed is known for his passion and dedication for transforming the menswear industry in the country and taking Sri Lanka to the international sphere of fashion. Through this YouTube channel Fouzul will not only be helping men in Sri Lanka to dress and look their absolute best, but will also reach out to people from across the globe. While Hameedia has a strong local presence with a network of over 30 outlets across the island, they have also extended their operations to the global fashion industry with outlets in Australia and the Maldives. Every year, Fouzul Hameed takes the initiative to uplift the nation’s menswear industry by constantly showcasing stunning collections and coming up with novel and innovative ideas. Written by Geoffrey Bawa’s official biographer David Robson in collaboration with architectural photographer Sebastian Posingis, the book is a compelling addition to the literature.